More than 1.3 billion Lincoln Wheat Penny coins were minted in 1957, which makes this second-to-last issue of the Lincoln Cent series one of the most common. Due to the high number of 1957 Penny survivors, this coin remains quite inexpensive to this day. 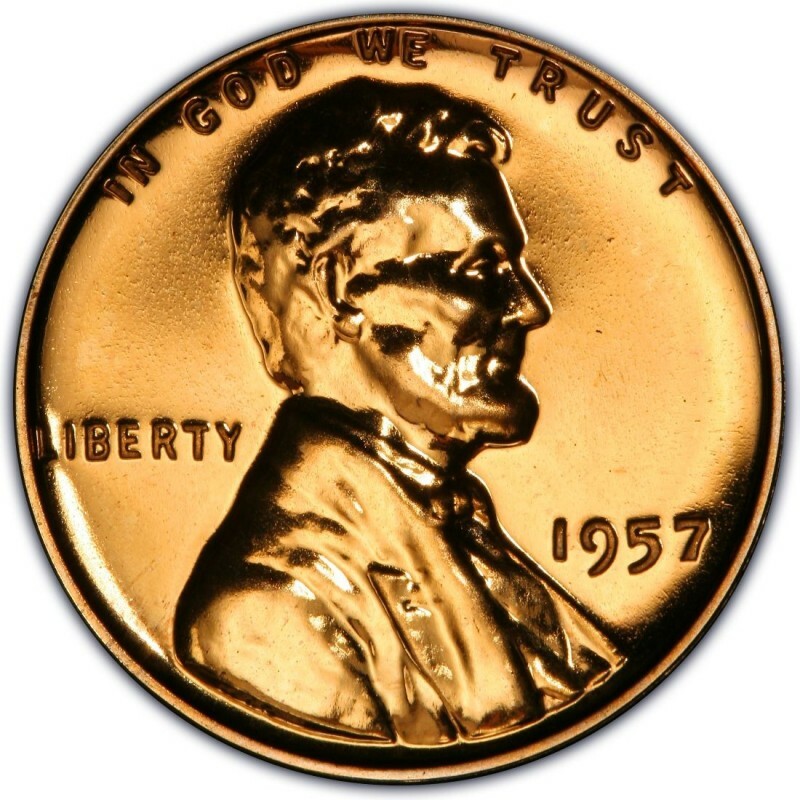 Many coin collectors simply choose to fish 1957 Lincoln Pennies right from circulation, which isn’t a difficult task since 1957 Pennies are among the most frequently spotted Wheat Cents in circulation. 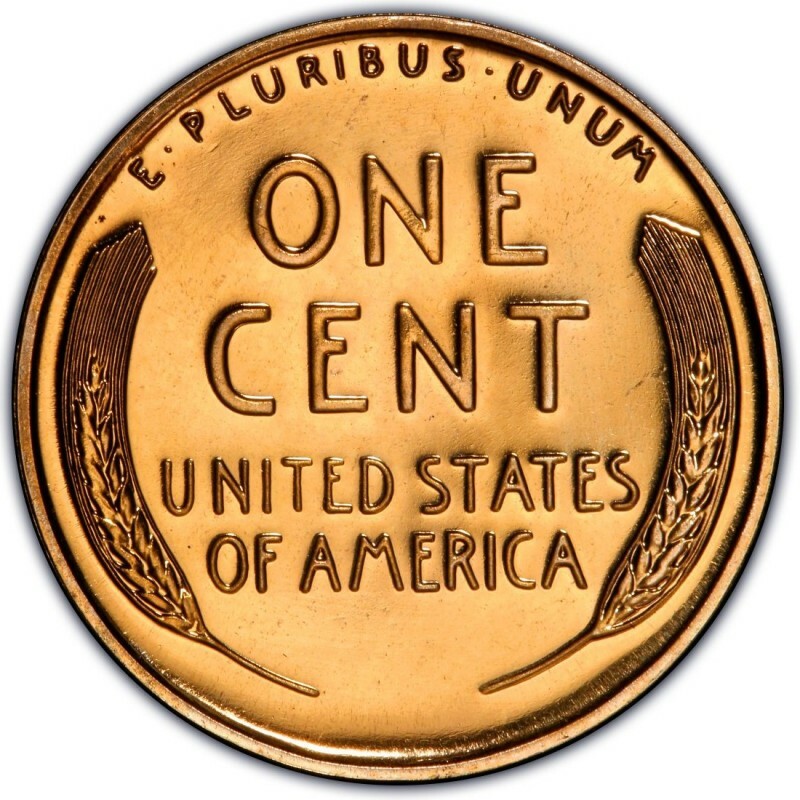 Not only does picking 1957 Pennies from circulation help a collector obtain this coin for merely face value, it is also a great way to add a little “challenge” to procuring a 1957 Penny or two for a collection – something that is otherwise quite easy and affordable to do when buying the coin from a dealer. 282,540,000 Lincoln Cents were struck at the Philadelphia Mint, and 1,051,342,000 were made at the Denver Mint. None were minted in San Francisco. 1,247,952 proof Lincoln Wheat Penny coins were also made in 1957, by far the highest proof total up to that date for any one year; the high mintage of proof coins is actually a great illustration into just how popular coin collecting had become in the United States by the late 1950s. Millions of people were searching their pockets and purses for coins to put into their coin folders by the late 1950s. This surge in popularity was in part produced by a few “modern rarities” of the time, such as the 1955 doubled die Lincoln Cent and the 1950-D Jefferson Nickel (only 2,630,000 were struck). Proof sets were assembled to meet public demand, and people were buying more proof sets in 1957 than ever before. You can buy circulated 1957 Lincoln Cents for 5 to 20 cents from nearly any coin dealer specializing in U.S. coins, or you can purchase nice-looking Mint State specimens for less than 50 cents each. 1957 proof Lincoln Cents are available for as little as $3 each, and entire rolls of uncirculated 1957 Pennies can be bought for around $5.